2. T.Shaw’s “Christmas Gifts” because of all the Blogmas gift posts I read, I enjoyed hers the most. A’top a tree so perfectly poised. Circling around the presents of toys. And the mistletoe swings low. While the kitchen smells of cookie dough. Sprinkling glitter around the town. As the groups make their way around. And with this post, I have truly concluded Blogmas! There are six days left in December so why rush? There is no reason to automatically shut off your Christmas music or tear down your decorations the day after Christmas. So take a couple more days to appreciate the Christmas cheer. Make Cleaning Up A Party! Once it is time to clean up all the Christmas decorations make it a party! Turn up that Christmas music nice and loud, make some hot cocoa, wear that Christmas hat/sweater/socks one last time, and eat some left over sweets while you put away the decorations and prepare for the new year. New Years Eve is on December 31st and as the New Year approaches take some time to remember 2017. What were your best moments? What have you accomplished? Be thankful for what has transpired. Then, looking forward to 2018. What do you want to accomplish in the New Year? I hope these three tips are enough to help battle your Christmas blues! I hope you all are having a wonderful Christmas!!! The Blogmas Contest is now CLOSED. If you have not yet commented on other Blogmas posts please remember to do so! What must it have been like for Joseph? For Mary? For the shepherds and the wise men? One can only read and imagine. . .
Christmas is a very special holiday for me, especially because to me it is not just about the tree, the decorations, or the holiday fun. 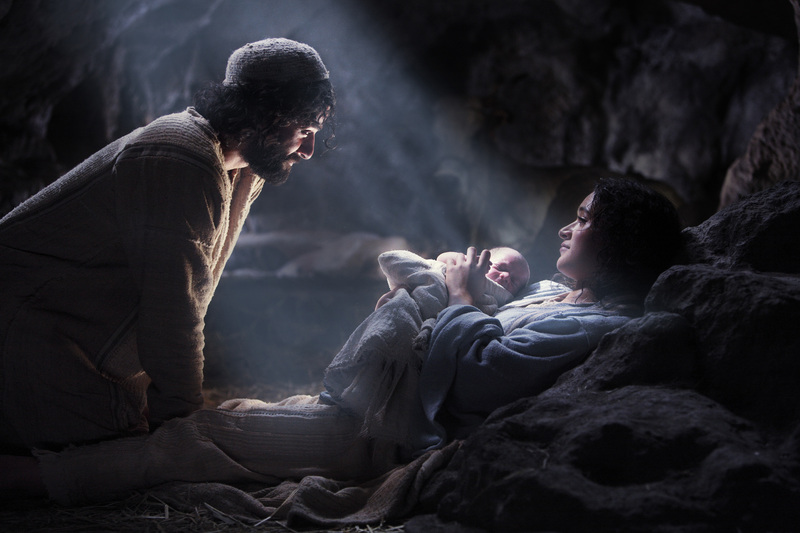 It is a time to celebrate the fact that God loved me enough that Jesus humbled himself to come to earth as an insignificant baby. Merry Christmas Eve Everyone! I pray that you all have a wonderful Christmas. I cannot imagine what Mary must have experienced or felt! Can you imagine an angel appearing to you, at 15 (estimate age) and saying that not only were you pregnant but with God’s son? It is an incredible story. Please take a read. 38 “I am the Lord’s servant,” said Mary. “May it be done to me according to your word.” Then the angel left her. What will you be doing this Christmas Eve? So grab your own blanket, slip on those fuzzy socks, pop the corn, and take a seat with me. 3. 1990 Home Alone (Yes, he is a total brat in the beginning, but you gotta love his ingenious booby-traps and the humor). By far, this is the best Christmas movie. It deals with real life issues like divorce, it has holiday joy, it has snarky sarcasm, and it leaves me with a happy feeling inside. Blogmas Contest Update – Have You Submitted Your Entry Yet? Hey Everyone! Just a reminder that the last date to participate in the Blogmas Contest is on December 25th! Please be sure to read all the rules on the original post: Blogmas Contest. Only those who have followed every rule will be considered. My Favorite Christmas Songs – What are yours? This year I decided to travel a bit to see the famous Festival of the Lights at the Mission Inn. First, let me begin by saying that if you are claustrophobic like me, go EARLY, like 4pm early. That way you can possibly get parking somewhat close and see the vendors before the sun sets. At 5pm they turn on the lights! If you want to go inside the Mission Inn, I suggest you get there even earlier to get in line. Regardless of the crowds, it is truly beautiful. This inside is also beautiful! They had an AWESOME GINGER BREAD REPLICA! When sold to the Swig family in 1935, the hotel almost went out of business even after Swig sold over 1,000 historical paintings and artifacts. Will you be going anywhere fun or new or exciting this December? Another thing that I love about Christmas (and any holiday) is the cookies! This year I’m doing my best to learn how to do make sugar cookies with royal icing. And here’s the end result! I’m still learning, but I think they came out alright!